On May 14, 2014, a statewide deployment of Text-to-911 was implemented through the Texty platform. This project enables direct access to emergency service for an underserved segment of Indiana's population, those that are deaf or speaking-impaired. Texty also allows 911 centers to convert voice calls to text sessions if the situation requires it. Indiana has the ability, via the IN911 system to Text-from-911 to the public. This service has improved communication capabilities between 9-1-1 centers and the general public. On June 6, 2016, The Treasurer of State Kelly Mitchell announces the completion of the Text-to-911 deployment to all 92 counties in Indiana. 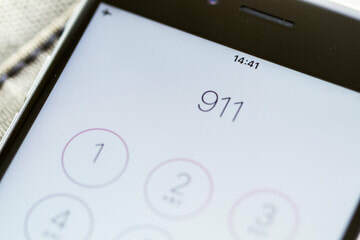 Can you send 911 a text? How do you text 911? When do you text 911? 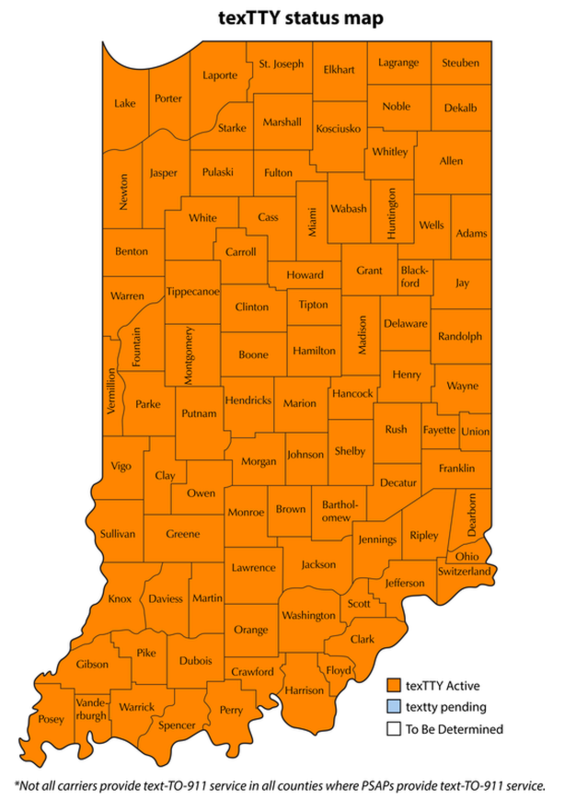 Yes, in all 92 counties in Indiana. Find the message or messaging icon or menu choice on your phone. Do not use a text app you downloaded. Select 'create a new text message'. Put 911 in the to: field. Put your emergency and your location in the message body. Do not attach or send pictures or videos. Keep your message short and do not use abbreviations. After you enter your text, press send. If text to 911 is not available in your area you will receive a message instructing you to dial 911. Make a voice call when you can. Text if you can't make a voice call, or if a voice call would put you in danger. Text-to-911 is not as fast as making a voice call. The 911 center may ask you to make a voice call if you don't know your location. Your phone must be able to send a text message. You can find out if you have this capability by texting a friend or family member to be certain. Text-to-911 allows limited location information so it is important that you provide your location within your text message.